Time appears to have run out in California for the latest version of the state legislature’s online-poker proposal, after the regulatory vehicle failed to be brought up for a full Assembly vote on Monday. CA State Representative Adam Gray promised last week that his amended AB 2863 measure may well have had the votes to pass, but the controversial amendments, primarily a “bad actor” provision that would have mandated a five-year sitout period for international online-poker giant PokerStars, may have resulted in lesser overall support for the bill. 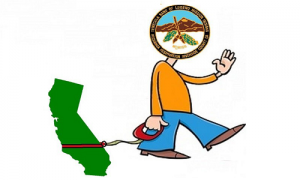 Also exposed, via an LATimes report published over the weekend, just prior to the possible Assembly vote on AB 2863, was a questionable lobbying purchase by the Pechanga Band of Luiseno Indians. 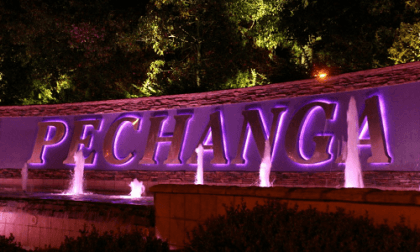 The Pechangas operate California’s largest tribal casino and, along with the Agua Caliente nation, led the small but politically powerful hardline tribal coalition that has targeted PokerStars and generally obstructed online-poker legislation in California for years. The amendments inserted into Gray’s bill last week catered to the Pechangas’ desires, to the point that one source told Flushdraw last week, “Chairman Gray and his team handed his drafting pen to the Pechanga coalition.” The recent lobbying news offered some fact to support that opinion, exposing that on August 2nd, the Pechangas hired former US Rep. Gary Condit and his BBC Public Affairs firm, for an unspecified amount. Except virtually no one believes that, given the timing of the hire, the blatant switch on the issue by Gray, and the general ease through which such a potential dirty-money lobbying channel could be put to such use. A SacBee editorial that appeared early yesterday panned the bill, citing the Condit lobbying hire as a major reason why, just hours before the possible vote seems to have been scuttled. Other industry sources have suggested that Gray stands to profit — whether politically or financially — if the stalemate over the online-poker issue in California continues. Such speculation also seems to have some basis in fact, given Gray’s prior-unexplained flipflop on the measure. It was Gray who had championed the earlier version of AB 2863 as a “compromise” measure that was supported by a broad spectrum of California’s corporate gambling interests. Under the original AB 2863’s language, the topic of PokerStars’ suitability would be left to the states’ gaming regulators to determine. That avoided the specter of guilt by legislative fiat, the intent of the bad-actor provision, which PokerStars parent Amaya has vowed to challenge in court. For 2016, though, the fight appears over. Even if Gray again reverses course and submits Ab 2863 to a full Assembly vote, today or later this week, there’s no real chance the bill could clear both California state houses by the end of the month. 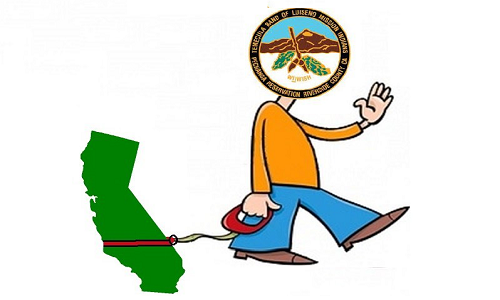 California’s annual legislative session ends each August 31st. For online poker, then, the future begins again in 2017. However, given that there’s little chance that the Pechangas’ hire of Condit wouldn’t cause the bill to blow up, and that the Pechangas’ themselves announced the hire themselves, it begs the question. Is this again a circumstance of the Pechangas making a long-arm move to deep-six the entire online-poker move? Are they again being the real obstructionists, while creating a situation where they can attempt to claim that the rival Stars-centered coalition is filling that role? The visuals are horrible here, and the politics involved have a serious stink at this point in the debate.